When Bell Irvin Wiley's composite portrait of the rank-and-file Confederate soldier was published in 1943, professional historians and general readers alike greeted it enthusiastically. Over a half century later, the book still offers one of the best available accounts of the ordinary citizens who made up the Confederate army. 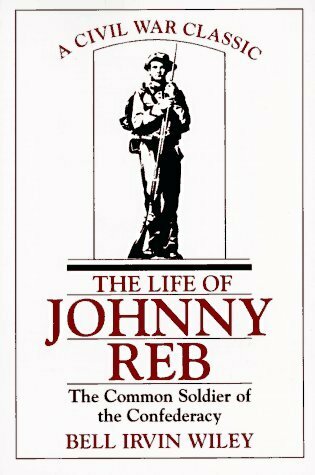 The Life of Johnny Reb does not merely describe the battles and skirmishes fought by the Confederate foot soldier. Rather, it provides an intimate history of a soldier's daily life--the songs he sang, the foods he ate, the hopes and fears he experienced, the reasons he fought. Wiley examined countless letters, diaries, newspaper accounts, and official records to construct this frequently poignant, sometimes humorous account of the life of Johnny Reb. In a new foreword for this updated edition, Civil War expert James I. Robertson, Jr., explores the exemplary career of Bell Irvin Wiley, who championed the common folk, whom he saw as ensnared in the great conflict of the 1860s. The Confederate States of America was formed by the states that seceded from the Union in 1861 and was dissolved in 1865. The Battle of Antietam was fought near Sharpsburg MD in 1862 and represented the bloodiest single day in American military history.